My friend Ivana recently shared this New York Times article with me (about Silicon Valley/technology gurus and their students who are attending a Waldorf/non electronic/computer-using school) and I’ve been pondering it quite a bit. Waldorf schools have been teaching through a physical/hands-on/creative approach for almost a century. Instead of using computers, the school mentioned in the article, uses chalkboards, encyclopedias, and you’ll find the kids reading books sewing and knitting and experiencing fractions through cutting cake and other fun/practical activities. Parents of these children, (highly technology-connected), feel that computers don’t belong in the classroom of their young learners. They feel it holds them back in some ways…that their children will not learn better from apps or online tools. Instead, they feel there is a time and place for technology and that their children will pick it up rapidly when that time comes. After reading the article I was reminded of our latest day off from school: we’d spent most of it with our cousins. 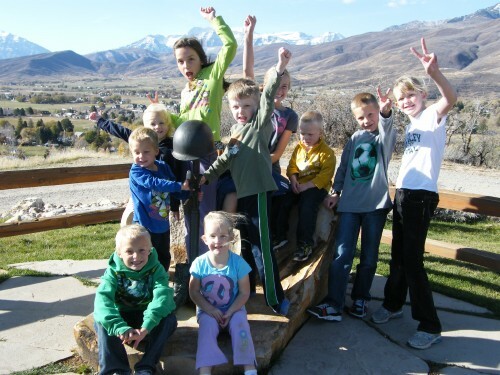 My SIL and I enjoyed the 12 kiddos that day by taking them on a windy hike up Memorial Hill. 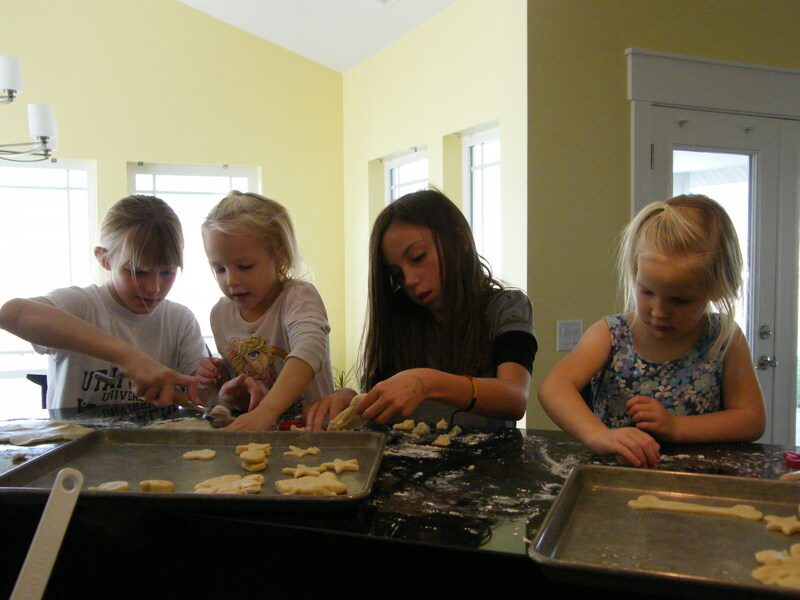 Afterwards we ate lunch and they rolled out sugar cookie dough, cut out favorite shapes and made their own creations. We inserted younger cousins between the older ones and found that they were not only helping eachother, but finding some great fun creating together. They finished off the excitement with a football game out on the lawn (the first for several of them). As I thought about that fun day I told Traci that we did alright that day…they had a great time learning and helping one another (and no technology needed). Is there a fine line between technology and children? A perfect time to introduce various programs, etc.? Or, if there is a balance that can be found…where is it? we deal with this dilemma daily. I WISH my kids could have my exact childhood–outside from sunup to sundown, learning about life, relationships and people by being around people all day, playing, working, figuring things out. I think our society is on techie overload and if there was a Waldorf school nearby, I would probably enroll my kids today. Your day sounds truly delightful! Good Job! hardly at all for my kids 7 & under!. i think i must be part of that group unintentionally. there will be plenty of time for it….later.